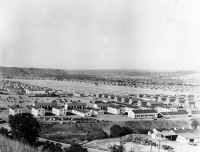 The 42,768 acres that comprise Camp Roberts today have long held encampments of soldiers. The early Native American tribes of central California lived and hunted on this land, and exploration detachments of the colonial Spanish Army mounted scouting parties throughout the area. 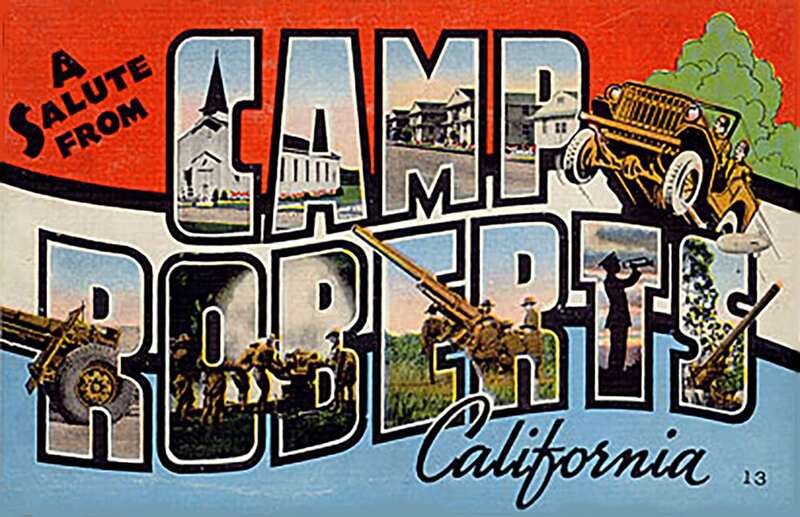 Camp Roberts is located along US Highway 101, which follows the old Mission Trail. Highway 101 is still often referred to as “El Camino Real,” which translates from Spanish to “the royal road” or “the King’s highway”. 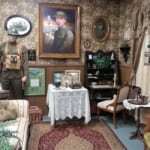 It is a highly recommended scenic drive for history buffs due to the number of historical sites along it. Camp Roberts is located just a few miles north of Mission San Miguel de Archangel, which was founded in 1797. One of the best managed of the 21 missions established in California; it was very productive in grain and livestock. 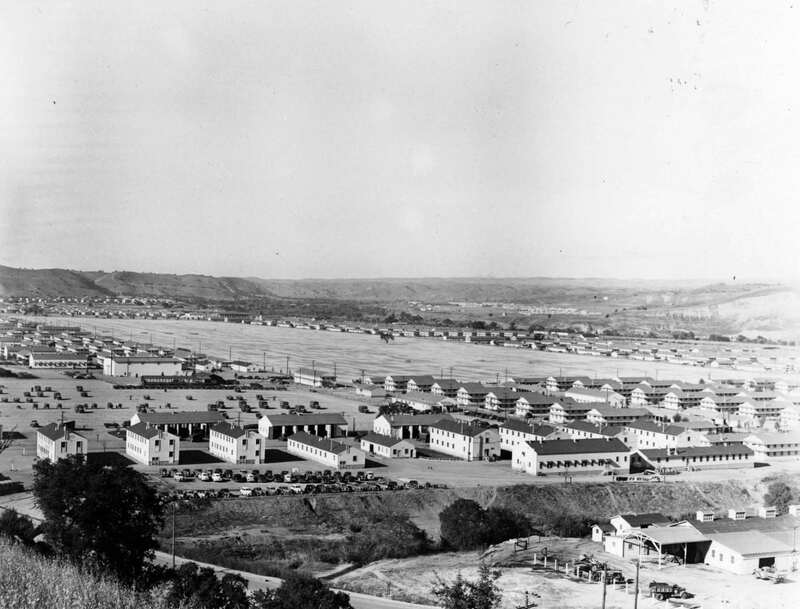 The land of Camp Roberts was part of the original Mission land. Political upheavals in Spain and Mexico resulted in a declaration of independence by Mexico in 1826. Soon after, the Mexican government closed down the Missions and distributed their vast land holdings to favored individuals and families. One of the land grants became “El Rancho Nacimiento,” or “Ranch of the Nativity.” Through a series of sub-grants, sales and leases Rancho Nacimiento was reduced to 44,000 acres (the original size of Camp Roberts). While all of these land transactions were taking place, the Territory of California was admitted into the United States of America, formalizing American control over the area. In 1902, Congress authorized a study to locate and describe lands suitable for development of new military posts, and this was one of the sites examined. The Army Corps of Engineers characterized the area as suitable, and it was assessed at $5.76 per acre. However, President Theodore Roosevelt received conflicting reports describing the area in unsuitable terms, so it was not obtained until many years later. Finally, in 1940 Congress authorized funds for the Army to lease Rancho Nacimiento and five adjoining ranches. 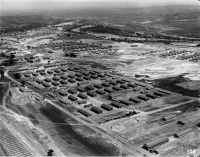 The Army eventually purchased all the leased parcels plus additional land in 1943. 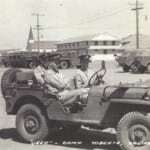 Construction of the main garrison area began on November 15, 1940. 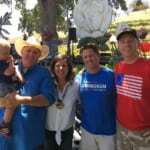 The first commander, Lieutenant Colonel Marston, rented office space in the Bank of America building in Paso Robles. His command consisted of the office, plans and specifications for construction of the facilities, and a few tents. From those humble beginnings the operation grew to involve over 8,000 workers in the construction of a training site capable of housing 30,000 trainees at one time. Construction took approximately nine months, during which time the area received the heaviest recorded rainfall before or since. 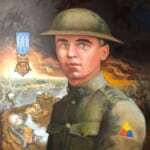 During construction it was decided to change the original name, Camp Nacimiento, to Camp Roberts in honor of 22-year-old Corporal Harold W. Roberts, a World War I tank driver from San Francisco who died in France in the Argonne Offensive, and was awarded the Medal of Honor. 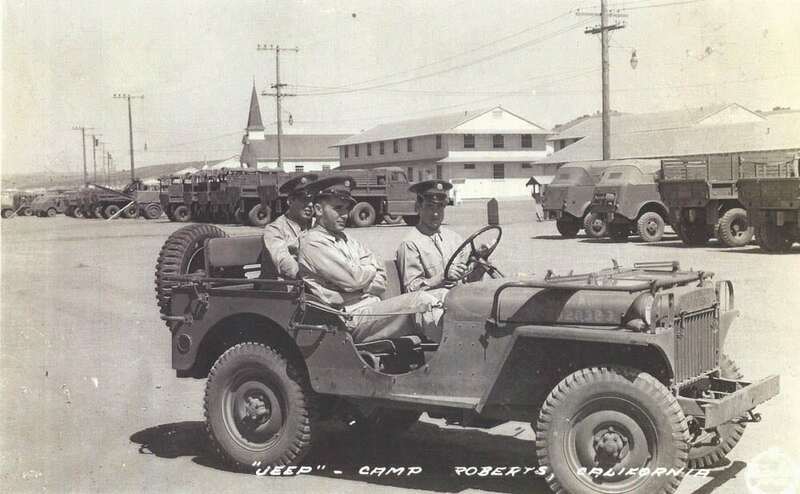 Today, Camp Roberts is the only major Army military installation named for a non-commissioned officer. 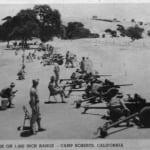 Camp Roberts officially began its mission as one of the world’s largest training sites in March 1941. 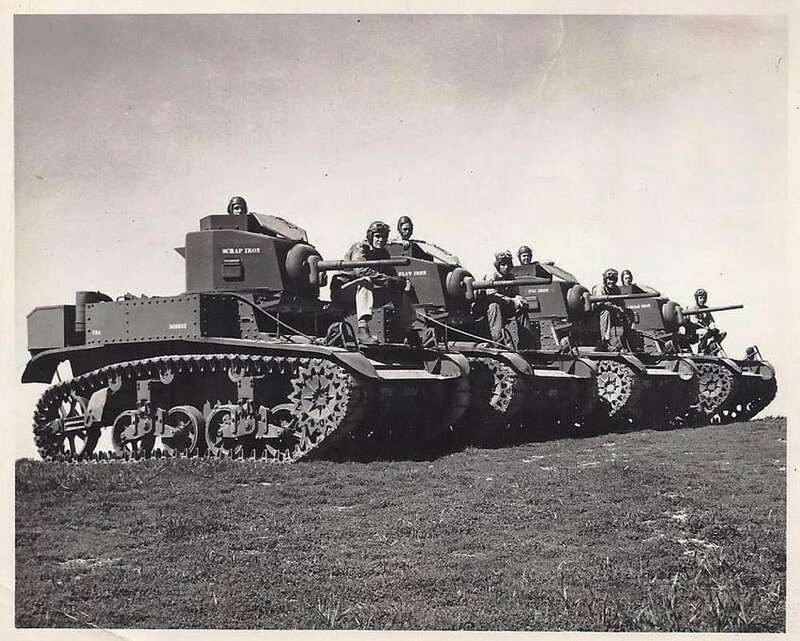 It featured the world’s largest parade field (the length of 14 football fields) and hosted an Infantry Replacement Training Center and a Field Artillery Replacement Training Center. 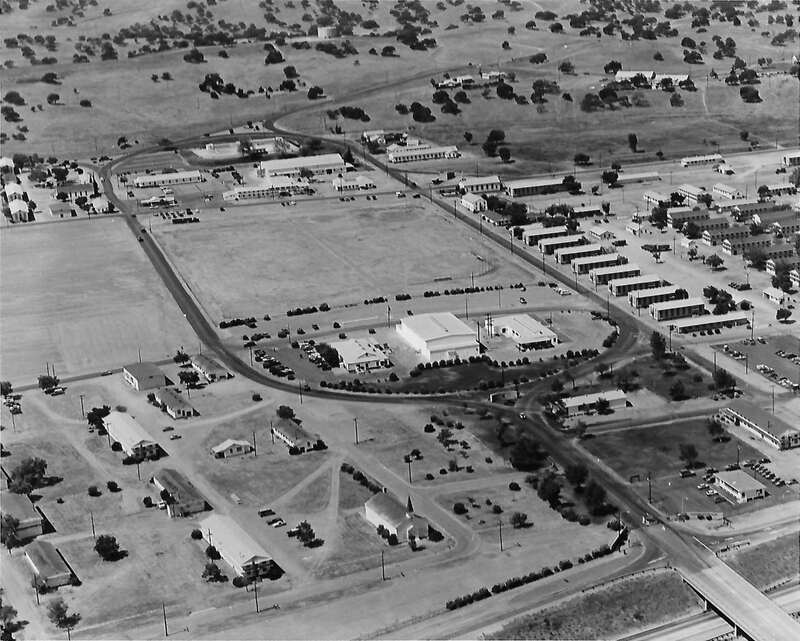 The nearby property that now serves as the U.S. Army Reserve’s Fort Hunter initially was maneuver area under command of Camp Roberts. 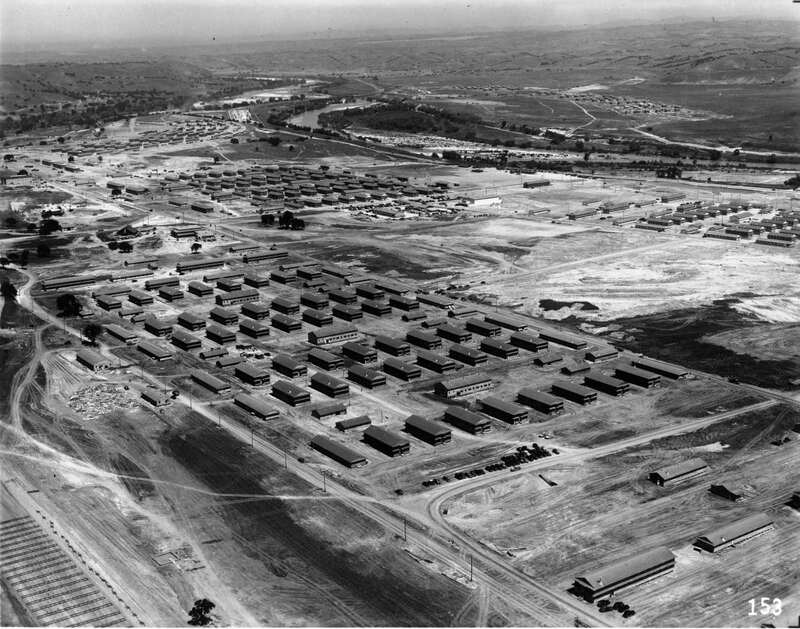 Throughout World War II, Camp Roberts was the largest U.S. Army basic training installation in the nation. 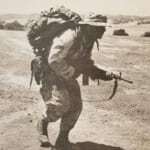 Over 436,000 troops passed through an intensive 17-week training cycle. 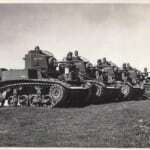 A peak population of 45,000 troops was reached in 1944, with thousands of these soldiers quartered in huge tent cities. Besides the two Training Centers, there was a 750-bed hospital and internment facilities for German and Italian prisoners of war. Many of the Italian POWs swore allegiance to America after Italy surrendered, and spent the remainder of the war as service unit workers at Camp Roberts. 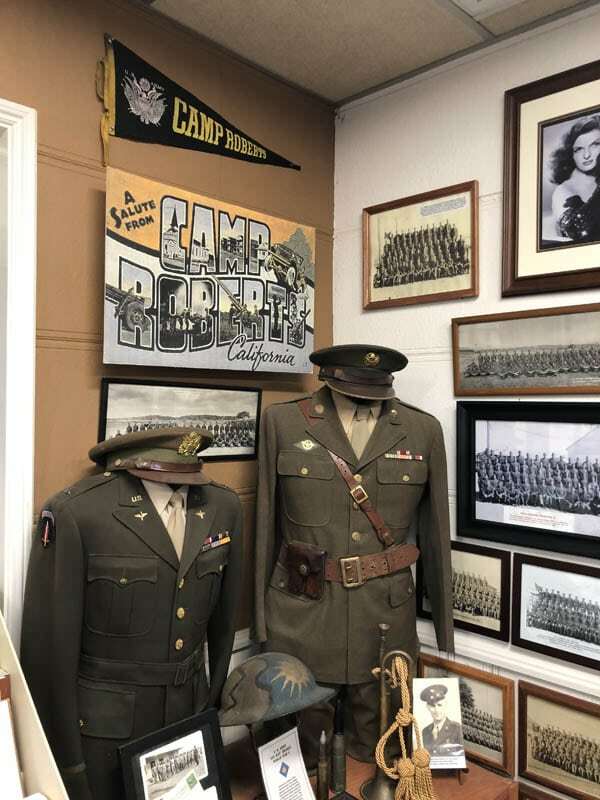 Many famous people received their military training at Camp Roberts during WWII, including Caspar Weinberger, Robert Mitchum, Steve Allen, Steve “Hercules” Reeves, and comedy legend Red Skelton, who headlined Camp Roberts’ entertainment troupe. 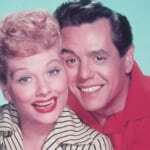 Many other celebrities, like Laurel and Hardy, Bob Hope, Lucille Ball, Jack Benny, and Marlene Dietrich have come to Camp Roberts to entertain countless troops at the Soldier Bowl. 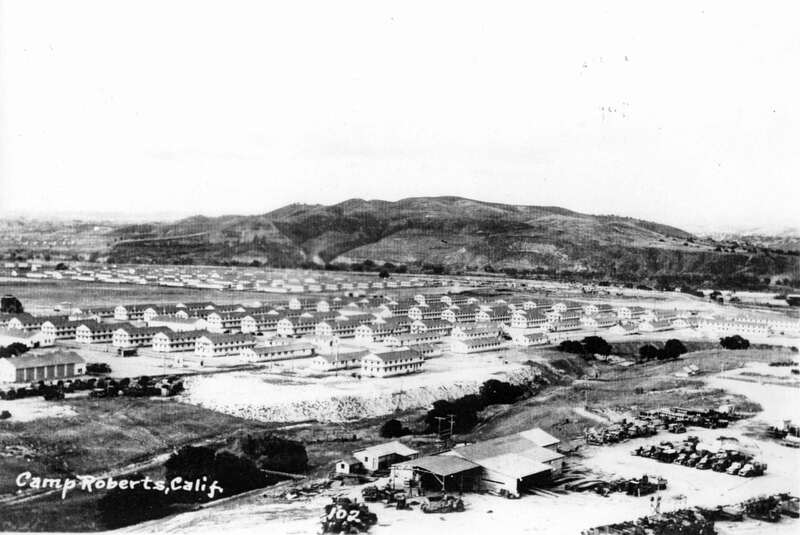 On July 1, 1946, with the out-processing of WWII soldiers complete, Camp Roberts was inactivated as a training site, reverting to ‘caretaker’ status, with a skeleton crew to maintain it. Reserve units conducted their 15-day summer training cycles here, and it remained at this status until the outbreak of the Korean War. In June 1950, North Korea invaded South Korea, and the United Nations quickly responded. 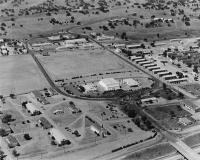 The following month, Camp Roberts was reactivated for Regular Army troop training, and soon added an Armored Replacement Training Center. 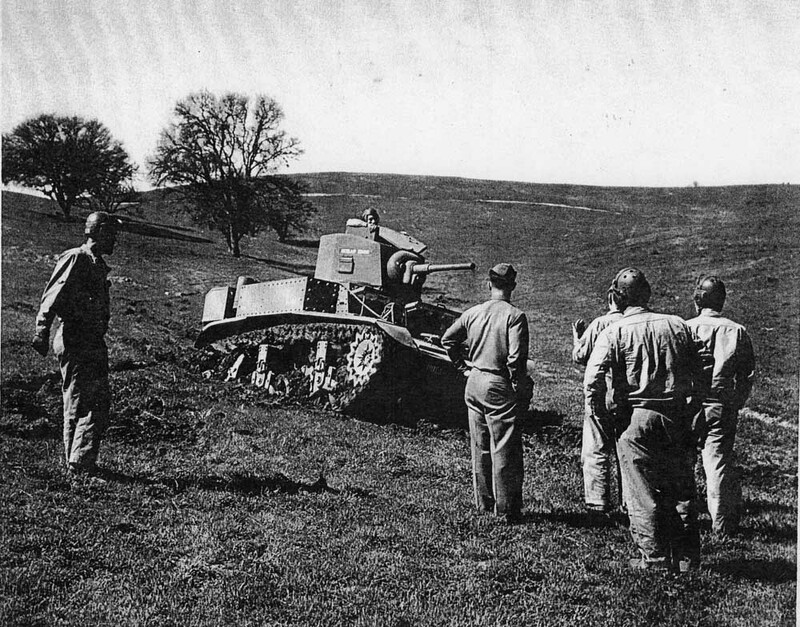 The terrain resembled that found in Korea, and the famed 7th Armored Division was in charge of training. By the end of fighting in September 1953, approximately 300,000 troops had completed their training here. 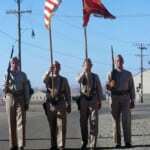 After returnee out-processing in early 1954, Camp Roberts reverted once again to caretaker status, continuing to train National Guard and Army Reserve units in their summer training periods. 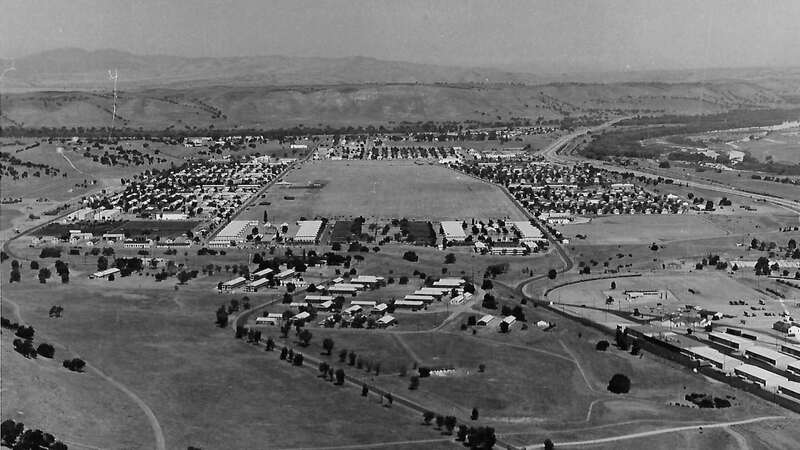 During the Vietnam era, Camp Roberts once again bustled with activity, though not on as grand a scale as during WWII or the Korean War. 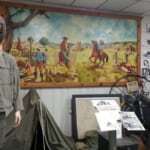 The installation was not ‘officially’ open, and thus earned the title “most active inactive post in the U.S.” Many troops were brought down from Fort Ord after in-processing for their basic training and then returned there for graduation and assignment. In the 1960s, the Army’s first satellite network was constructed here, and the Army’s Combat Development Experimental Command (CDEC) did much vehicle and weapons testing. The Navy also trained crews for river patrol boats here. 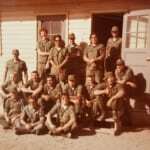 Vietnam was the last era Army Basic Training was given here. 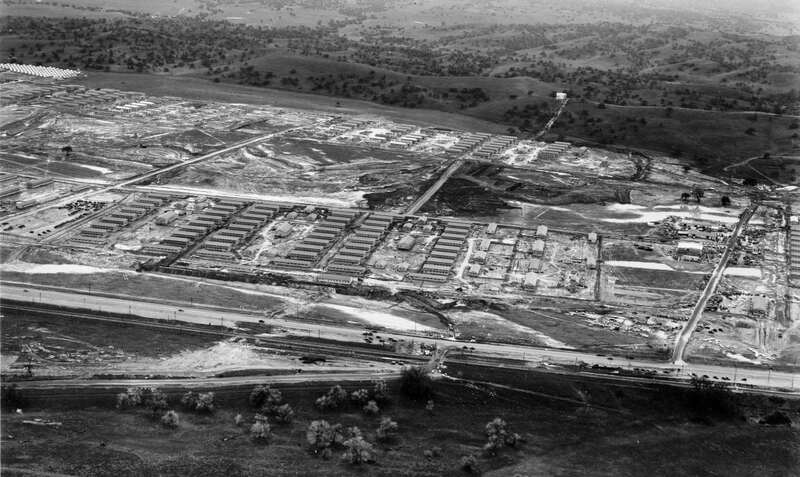 The US Army officially closed Camp Roberts in April 1970, and on April 2, 1971, the California Army National Guard received control of the Camp under license from the Army to establish a Reserve Component training and mobilization facility. Camp Roberts continues to operate in this fashion today. Military units from all service branches (and some foreign countries) continue to train here, and it also hosts a large wheel and track maintenance school for reserve soldiers. In recent years, many National Guard units have been processed through Camp Roberts to meet the Nation’s needs in the War on Terrorism by being deployed throughout the Middle East and Eastern Europe. 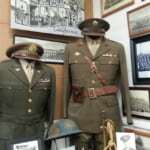 The history of Camp Roberts is effectively related in the Camp Roberts Historical Museum, which is housed in the original WWII Red Cross Headquarters (Main Museum) and the original WWII Camp Roberts Post Office (Museum Annex).